he pure hearted youth singing songs of praise and worship with his harp; the bold young man facing down a giant and taking him out with a single stone shot from his sling; the lowly youngest child who was raised to honor above his seven handsome brothers and anointed to be king of Israel. One little boy named David. One little babbling brook. One little boy named David. Five little stones he took. One little stone went into his sling and sling went round and round. The stories about David in the Hebrew Scriptures sometimes sound like tall tales. Kilt him a bear when he was only three. Davy. 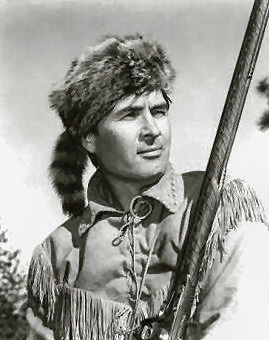 Davy Crockett. The king of the wild frontier. Real people. Authentic historical figures. But as the stories of their lives were told throughout the years, they became larger than life heroes and the legends around them grew so that it’s not always easy to distinguish the fact from the embellishment. David is much more than a children’s book character. David is a legendary figure for Israel and the stories of his life are larger than life. As one of the pivotal figures of Israel, he is writ large in 1 and 2 Samuel and in the books of the Chronicles – he is complex and ambiguous. Walter Brueggemann says the story of David is central to the Jewish texts because David is the pivot of Jewish history. 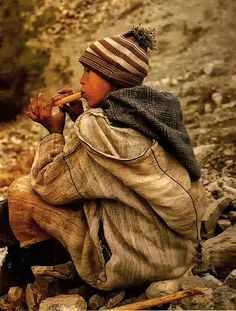 At first these were “no people” and then they were a wandering, homeless people and then they were a loosely knit tribal people. But it is in David that a new vision emerges: Israel becomes a nation, a united kingdom with a king and a city and a land. It is with David that Israel finds respect among the nations and rest from their enemies. These were, indeed, the “golden years” that came together during the David years. It was during this time of Exile that many of the stories and texts of our Old Testament were collected and compiled and edited into what eventually became Scripture. It was during this time of Exile that the biblical writers took the ancient stories that had been such an important part of their oral history and reflected on their meaning for a new time and a vastly changed circumstance. It was during the time of Exile that Israel began to hope in God’s Messiah, a son of David, to come and liberate them once again. Even though the dynasty of David would never again look like it did in their golden years, people of faith and flexibility continued to dig into hope, hold on to faith and stand on the promises. Read: The House of David here. www.rgbstock.com Jerusalem Temple stones: Huge stones hurled down by the Romans during the destruction of the Jewish Temple built by Herod in Jerusalem, Israel; hence about 2,000 years old. 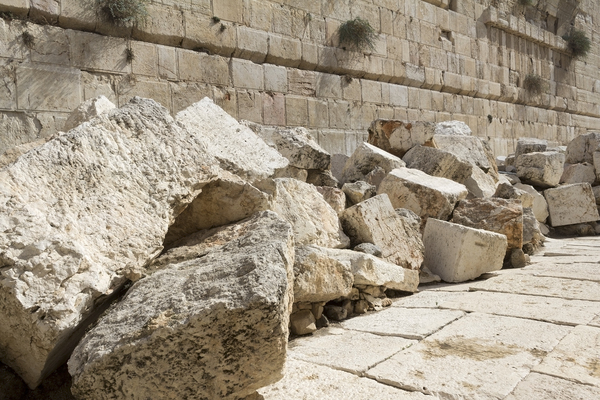 As David marked one transformation of the Jewish self-understanding, as you summarize very well, Jesus–as a Son of David–was supposed (perhaps) to represent another new transformation of their/our understanding of who they/we are. Yes? I agree Ed. It just keeps getting bigger.